Focus Select is formulated for patients with moderate to advanced Age-Related Macular Degeneration (AMD) directed by their physician to take an AREDS2 supplement. 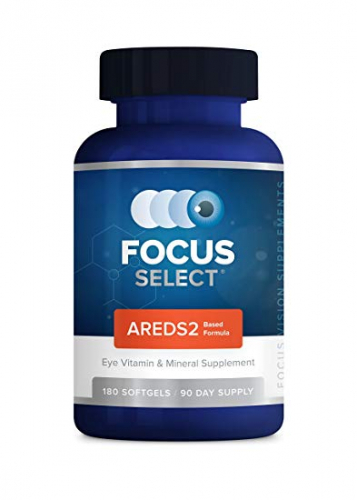 The Focus Select formula utilizes the latest improvements discovered in the National Eye Institute's Age-Related Eye Disease Study (AREDS2), replacing beta-carotene with lutein and zeaxanthin and limiting zinc to the lowest dosage prove effective in the study. Our formulation not only provides powerful levels of the nutrients proven to be beneficial in AREDS2, it is safer for smokers and reduces the risk of side effects associated with higher levels of zinc.